Tu B’Shevat, also known as “New Year for the Trees,” takes place on the 15th of Shevat in the Hebrew calendar (late January – early February on the Gregorian calendar). Tu B’Shevat marks the beginning of spring in Israel; it is one of four annual “new years” described in the Mishnah. It’s a time to celebrate the natural world. Gratitude is given for the fruits of the earth and everything that grows. Traditionally, a bounty of fruits and vegetables grace the Tu B’Shevat holiday table. In some parts of the world Jews partake in a Tu B’Shevat Seder meal, complete with prayers and food blessings. Others celebrate by taking a picnic under the trees or simply making a meal featuring all the fruits of the season. Jewish schools often hold outdoor parades; students wear white and make baskets overflowing with fruit. In Israel, people are encouraged to plant trees and give back to the earth, which is similar to our U.S. tradition of Arbor Day. 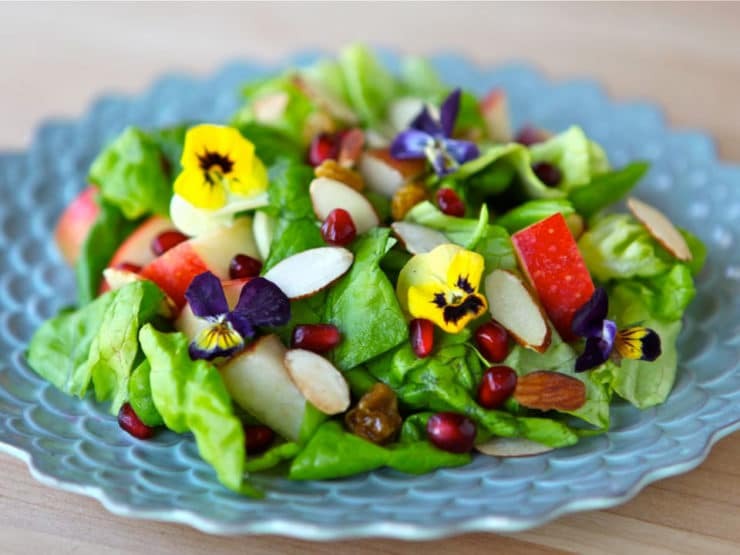 Typical foods served on Tu B’Shevat include fruits, nuts, grains, and vegetables. The almond trees bloom at this time of year, so almond-laden foods often make an appearance on the holiday table. Those who partake in a Tu B’Shevat Seder will eat at least 15 different types of fruits and vegetables. Traditionally carob pods are often included in the meal; diners snack on the chocolaty fruit inside the pod. It is also customary to include the Seven Species mentioned in the Torah: wheat, barley, grapes, figs, pomegranates, olives, and dates. This is a salad I created especially for Tu B’Shevat. I included traditional holiday ingredients… pomegranates, raisins (grapes), and sliced toasted almonds decorate the salad, adding sweetness and crunch. Three of the seven species are used: pomegranates, grapes, and olives (olive oil) in the Pomegranate Dressing. The dressing is creamy yet pareve thanks to a little added mayonnaise and a slow emulsion in the blender. You may want to save the dressing recipe, it’s so yummy and a pretty shade of pink. 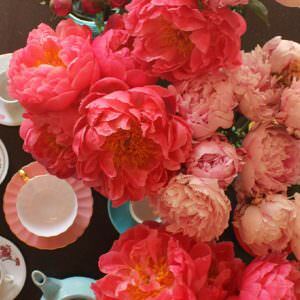 Edible flowers are a lovely and elegant touch… you can find them in specialty markets or gourmet grocers. If you can’t locate any, don’t worry, they’re optional. Please don’t go cutting flowers in your garden without knowing that they’re edible and pesticide free! 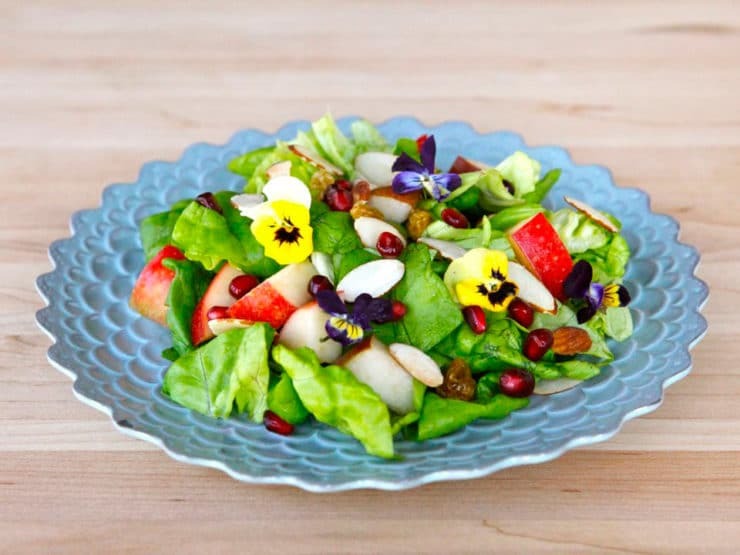 This salad is visually beautiful and healthy, but more importantly it’s a symphony of natural flavors… a perfect way to celebrate Tu B’Shevat, or any time you feel like a sweet and tasty salad. 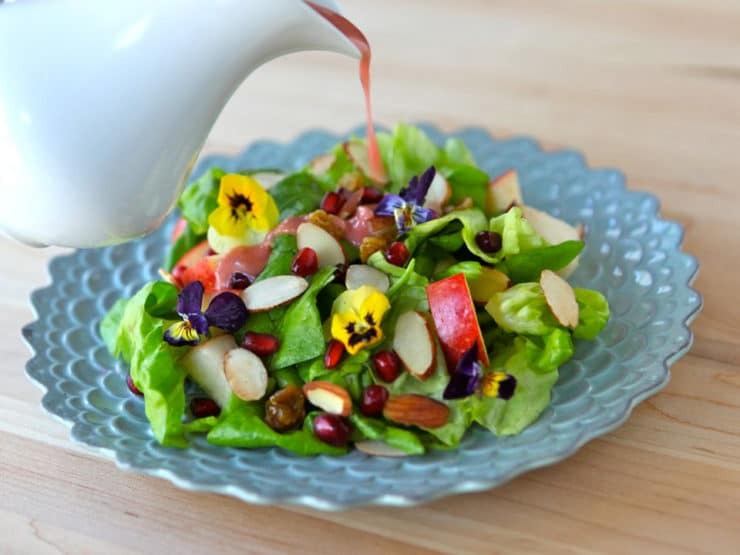 Recipe for Tu B'Shevat Salad with butter lettuce, apples, pears, raisins, pomegranate seeds, almonds, and creamy homemade pomegranate dressing. 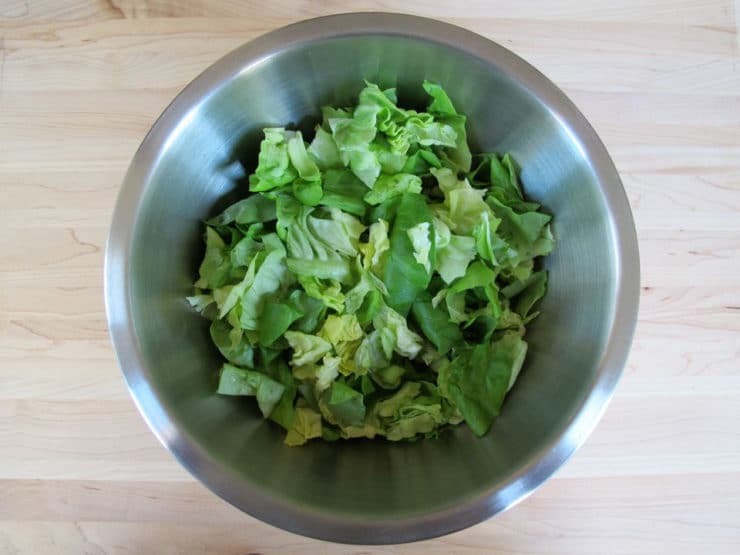 Place the torn butter lettuce in a salad bowl. 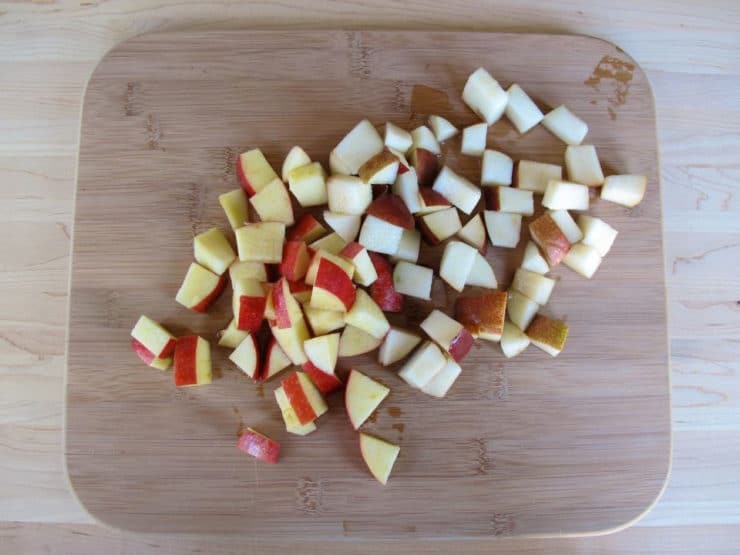 Chop the pear and apple into small chunks; keep the skin on, do not peel. Add fruit chunks to the salad bowl along with the golden raisins. Toss ingredients together till combined. 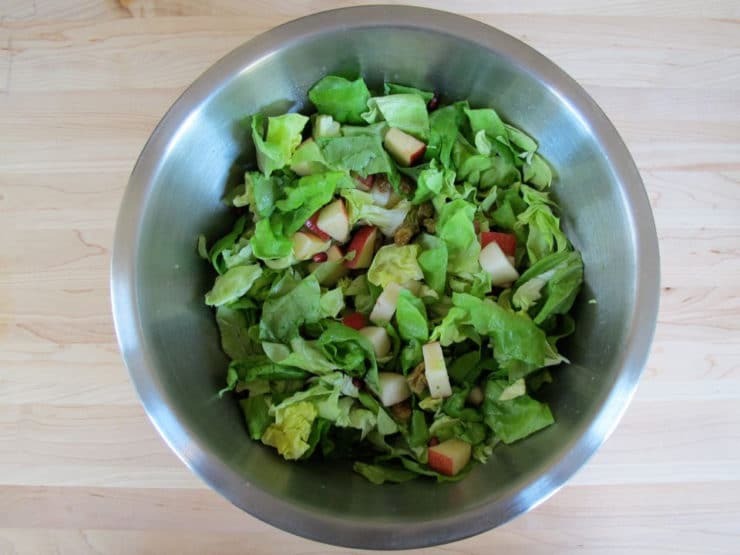 Divide the salad between six salad plates. 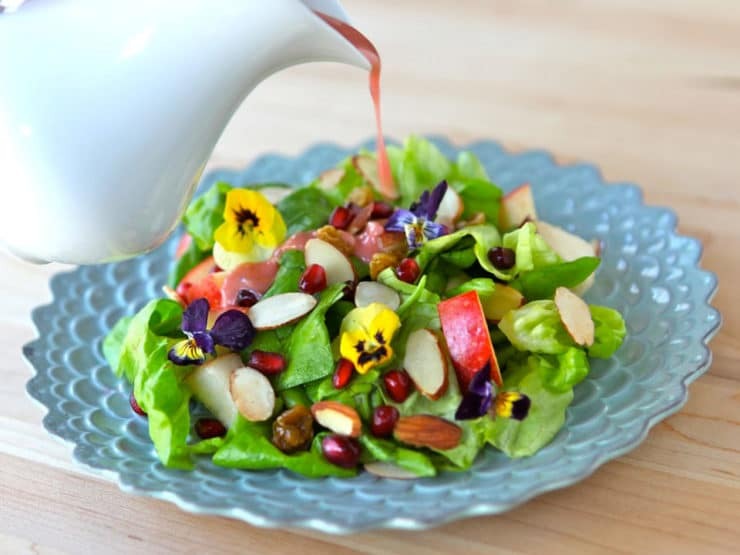 Sprinkle each portion of salad with sliced toasted almonds and pomegranate seeds. Garnish with edible flowers, if desired. 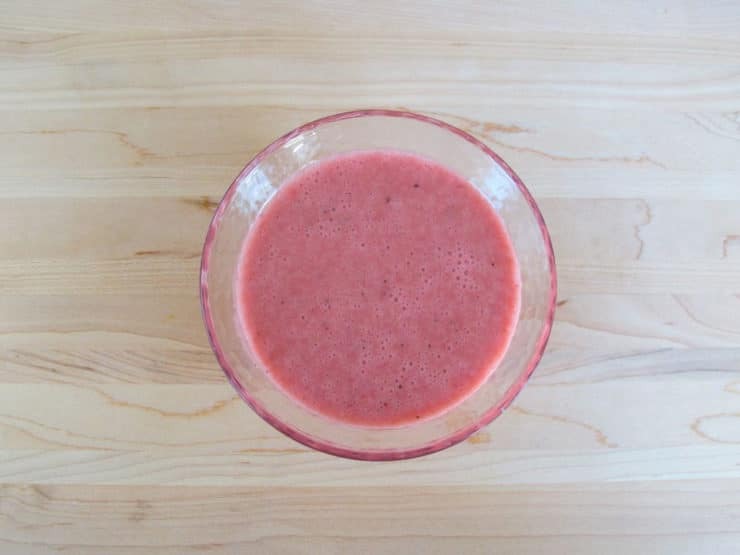 In a blender, combine pomegranate juice, mayonnaise, lemon juice, sugar, salt, and black pepper. Blend for a few seconds to mix. 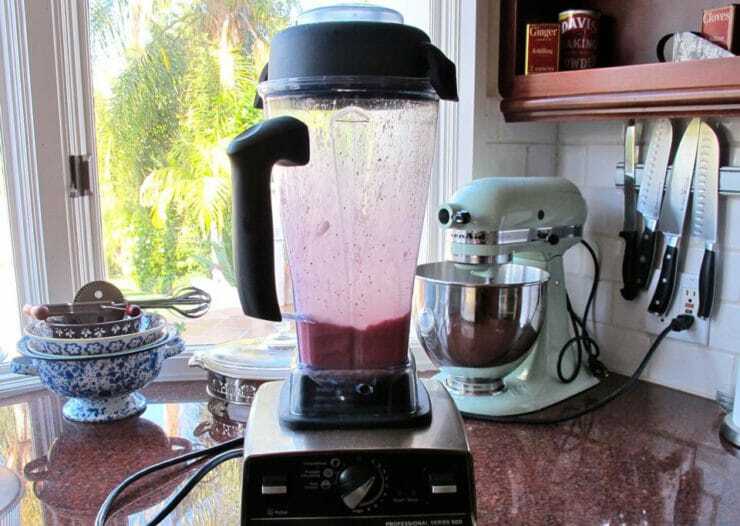 Open the pouring spout on the top of your blender and turn blender on to medium. 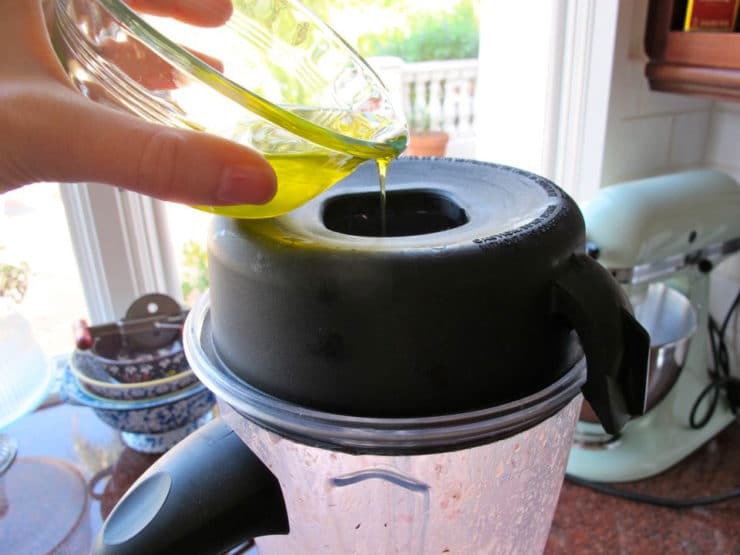 Drizzle the extra virgin olive oil very slowly through the pouring spout into the dressing. 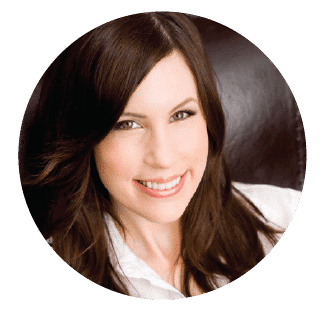 It should take 60 seconds or longer to drizzle the entire quarter cup of oil. Pour thickened dressing into a serving dish. It should be a lovely pink color. 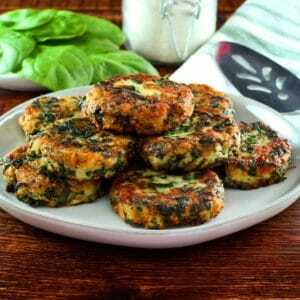 Drizzle about 1 tablespoon of dressing over each portion of salad before serving. What a gorgeous salad!!! And the dressing sounds divine! It is getting to where I will not eat salad without fruit, even though the hubby says too much sweet in there! Also, you could not have picked a better fruit for making the dressing with. I love pomegranate! Your pictures are stunning. Gorgeous salad Tori! what am amazing bit of knowledge, I would probably of never of known without you. Thank you for enlightening me on your beautiful traditions. Cheers! This is almost too beautiful too eat. this looks delicious and so beautiful! great dressing! That dressing rocks my world! Love this colourful, yummy, salad!